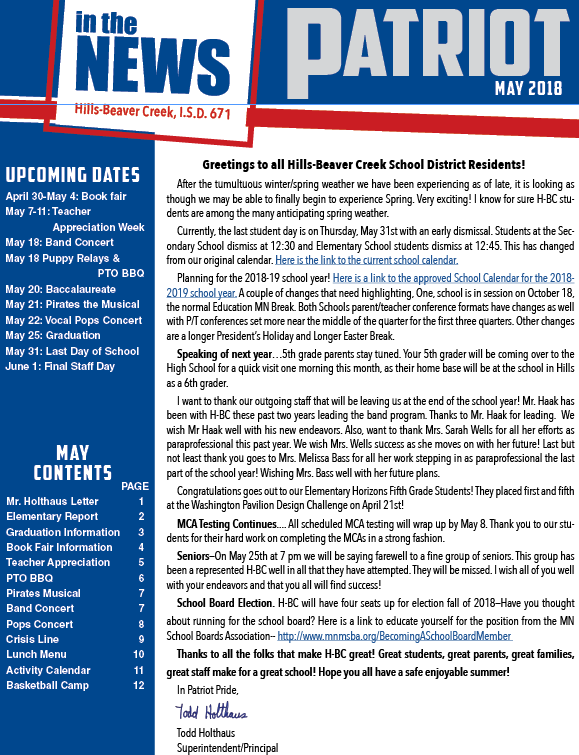 The May H-BC Newsletter is available online. Click the link below for details on all H-BC activities in May, including a PTO BBQ during Puppy Relays, spring performances and graduation. Thank you for another great year of education!